U.S. savings bonds earn interest every month for up to 30 years. 1. Does Every Savings Bond Have a Different Interest Rate? 3. What Is the Difference Between Interest Rate & Yield on Series EE Bonds? 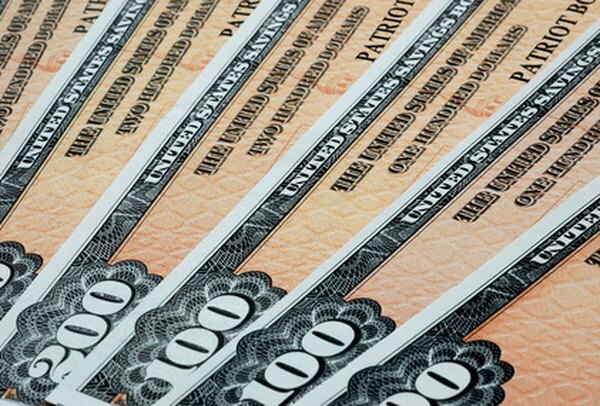 U.S. savings bonds provide competitive yields and allow investors to compound those earnings for many years. The accrual and compounding features of savings bonds determine when you earn interest and when you earn more interest. The interest rate policy of savings bonds makes it easy for you and the U.S. Treasury to determine exactly what any individual savings bond is worth. Since the early 1990s, the U.S. Department of the Treasury has changed several times how the interest rate on savings bonds was determined, and how it accrued to the value of an individual Series EE savings bond. Through April 1997, bonds were credited with interest -- accrued -- and compounded that interest on a semi-annual basis. This policy was in line with the practice of setting new saving bond interest rates twice a year. In May 1997, the practice was changed to monthly accrual with semi-annual compounding. The current policy of a lifetime fixed rate for Series EE bonds has been in effect since May 2005. Series I savings bonds have been issued since 1998, and earn interest adjusted for the rate of inflation. These bonds have always accrued interest monthly and compounded semi-annually. A series I bond earns a basic fixed rate of interest set at the time of issue and maintained for the life of the bond. Added to the fixed rate is an inflation indexed rate with a new rate set every May 1 and November 1. The total rate earned by a Series I bond changes on the anniversary and semi-anniversary months of the bond. For example, a bond issued in July would change earnings rate in January and July using the inflation factor set in November and May, respectively. The earnings would also compound in July and January. A savings bond earns interest every month. The Treasury only counts full months, so a bond purchased on any date in January is credited with a full month of interest in February. The amount of interest earned each month will be the same for six months. Then a new, higher monthly amount is calculated on the savings bond value including the previous six months of interest to compound the growth. The compounding months for a bond are the issue month and six months after the purchase month. The current value of any savings bond can be determined using the savings bond calculators found in the Tools section of the TreasuryDirect.gov website. Tools include an online calculator and downloadable software to track savings bond values. The Treasury stopped selling paper savings bonds in January 2012. The values and interest earnings of the electronic versions of Series EE and I bonds will show in an online account with TreasuryDirect. Does Compound Interest Affect the Future Value of an Investment?